Final chance to submit your application for Teach First’s paid, two-week award winning internship. Over half of both maths and science departments in schools experience significant shortages of specialist teaching staff. (Association for School and College Leaders, 2014). 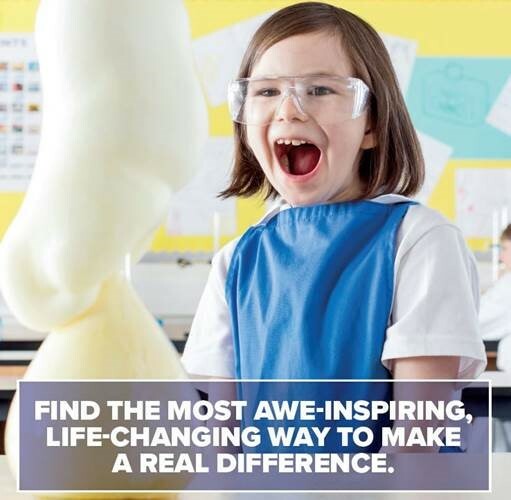 Could you be an inspirational role model for the pupils that need them the most? During our Insight Programme you’ll get training on leadership and teaching, and get the opportunity to step into the classroom and deliver your own lesson at one of our partner schools. The programme is available to students in their penultimate year at university who have a science, technology, engineering or maths (STEM) background. This can include Maths or Sciences A-Levels, even if your degree is not specifically in a STEM field. Develop key employability skills such as public speaking, teamwork & decision-making. Earn £500 for the two weeks, with all accommodation and travel covered by Teach First. Gain experience in the education sector and understand the STEM challenge. The deadline for applications is midnight on Sunday 9 December. Click here to begin your application. Be graduating in 2020 (if you are currently studying for a PhD you can still apply however you must have completed your studies by 2020). Be a STEM specialist: either studying for a STEM degree or have A-levels (A*- B) in the following subjects: two sciences (biology, chemistry or physics) and/or maths and/or technology (DT or ICT). Have right to work in the UK.